Perfect for 'date night' or a fun evening out with friends or family, this Toronto cruise begins Fridays at 6pm and sets sail through the Toronto Island lagoons, providing spectacular city and lake views. 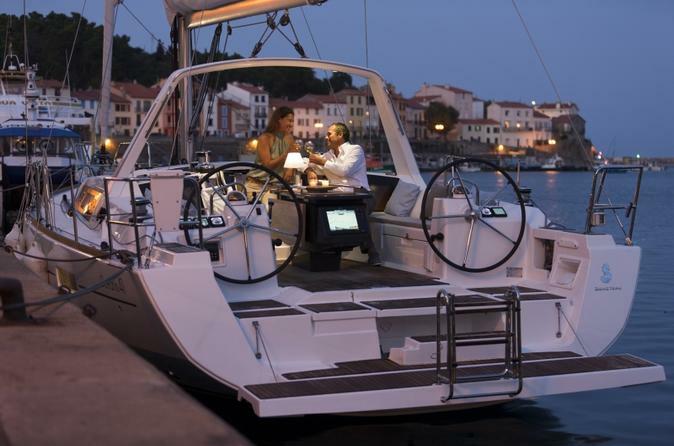 Your sail includes a variety of local wines, cheeses and sweets to tantalize your taste buds. Board the sailboat at Spadina Wave Deck on Friday evening to begin your 3-hour sailing experience. Settle in as your skipper takes you smoothly along Lake Ontario, through the Toronto Island Lagoons and around the famous archipelagos. Enjoy marvelous views of the evening Toronto skyline while sipping premium Ontario wines and nibbling on cheeses. Top off appetizer hour with a selection of sweet treats. Arrive back at Spadina Wave Deck to conclude your sail.